Mountaineering can be an expensive hobby, particularly if you end up buying the same things again and again. I’ve just bought my fourth pair of mountaineering boots in preparation for Everest next month, not because I need four pairs of mountaineering boots, but because as I’ve progressed as a mountaineer and climbed more difficult mountains, I’ve had to upgrade my equipment accordingly. If you’re thinking of investing in a new pair of boots and aren’t sure which to go for, don’t just think about what boots you might need on your next expedition, but what you may need in the future if you continue to climb. Two of the pairs below I probably didn’t need to buy had I known more about boots and thought a little more about future plans. To help you decide, here are the four pairs I have, and the journeys that I’ve been through to end up with them. 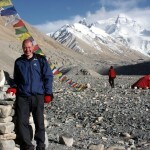 I bought these for my first expedition to Mera Peak in Nepal in 2004. I didn’t know much about boots or climbing back then, and chose these because they were the ones I’d hired from a climbing shop in Chamonix the year before, and they were effective for the climbing I did that week in the Alps. Single lined and therefore relatively light, they’re good for alpine climbing where you need to move quickly and don’t want your feet to overheat. Because they’re only single lined, they’re not good when temperatures are very cold, as I was soon to discover. It was -30° C on our cold October summit day on Mera, meaning double lined boots were essential. My feet were absolutely freezing, I ended up with frostnip and returned to the UK with a black little toe which took over a month to recover. These boots are good for summer in the Alps, but if you think you might be climbing in the Himalayas or even Scotland in winter, you will want to buy something warmer. I bought these for my first attempt on Aconcagua in 2005. Double lined with an inner boot inside a plastic shell, these boots are much warmer than the Super Mountains and have done me good service on a number of expeditions. You may not recognise them from the photo. The boots are actually bright red, but I converted them to triple lined boots when I climbed Muztag Ata in 2007, by putting black overboots (or ‘yeti gaiters’) over the top. The overboots are glued down to prevent them sliding away from the toe, but I can easily rip them off should I need cooler double boots again. The double lining is probably a bit cold for Aconcagua, but with the overboots they were amply warm enough for a cold summit day on Muztag Ata, when the temperature was an ambient -20° C, made colder by an icy wind blasting across the slope. These are good mid range boots for a range of different mountains, especially with the added flexibility of overboots that you can remove. They’re a bit heavy for trekking in though, as I discovered to my discomfort a few months ago in Colombia. When I started climbing 8000 metre peaks I needed to upgrade again, so I bought these for my aborted expedition to Cho Oyu in 2008. Although they’ve done me decent service, I’ve never really put them to the test on a really cold summit day, and they wouldn’t be my first choice if I had my time again. Early models of this boot had a reputation for providing Everest climbers with frostbite, and when I took them to wear on Gasherbrum in 2009 my expedition leader Phil Crampton threw a wobbly when he found out. We ended up calling them Scarpa Frostbites. Triple lined with inner boot, plastic shell and built-in overboot, they did get me to the top of Manaslu last year, but my gloveless summit photo indicates the cold wasn’t so extreme that day. While the Phantoms have been OK, there’s a very good reason why 95% of climbers on 8000 metre peaks wear just two makes of boot: Millet Everest, or these ones (a figure gleaned from my own observation rather than a thorough statistical analysis). I’ve always felt a little inadequate when my own boots have sat beside my climbing partner’s in the vestibule of the tent on an 8000m peak, because the Phantoms just don’t look as big and robust as either of these two pairs. So I’ve invested in a pair of Olympus Mons for Everest, and they’re so big that I’ve already had to buy longer crampon straps to tie over them. But they’re also quite light, and most importantly, they will hopefully keep me warm. Are these the last boots I will buy? Perhaps not. I was eyeing up my friend Thierry’s Scarpa Trangos while we were climbing in Colombia a couple of months ago. Thierry does a lot more technical rock climbing than I do, and not as many big expeditions. Speed is much more important than warmth for him, and he was even able to use these for trekking the Cocuy Circuit, something that I couldn’t possibly contemplate with my heavy Scarpa Omegas. My boots are all quite heavy, and I always take a separate pair of walking boots or approach shoes if I’m likely to be doing a lot of walking as well as climbing. Three pairs would probably be enough for all types of mountaineering: the Trangos, the Omegas (with convertible overboots), and the Olympus Mons. I wouldn’t buy the Super Mountains or the Phantoms again. But as the bishop said to the actress, it’s not the size of your equipment but what you do with it. There are lots of very good gear reviews going into great detail about the technical specifications of a piece of kit which are worth reading if you’re thinking of forking out. It’s easy to forget though that these are only possessions, albeit ones that keep you safe and warm and (sometimes) comfortable on a mountain. I don’t regret spending a few quid on boots I may never use again, because it’s not the boots that matter. 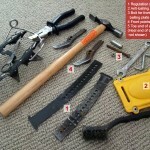 I’ve placed the emphasis in this post on the journey as much as the equipment; that’s the most important bit, after all. If you’ve found it useful too, then that’s a bonus. Might it be worth considering the ‘hotronics’ heating elements for you climb? Good luck – I’ll have my fingers crossed for you and will eagerly awaiting your blogs! Thanks for this, Matt. Interesting article, though I sincerely hope he’s wrong about the tread on the Olympus Mons. I’m certainly intending mine to last much longer than just a single expedition. The article was written quite a long time ago and the boots have gone through a few redesigns since, so fingers crossed these are much better. There’s some good advice in the article about pre-summit day preparation, and it definitely aids an early departure if you can get your routine right. There’s a different school of thought to his, however, which says that instead of faffing around too much prior to departure, just get up and get on with it. If you leave yourself too much to do when you wake up, then you may find yourself lying awake thinking about it. 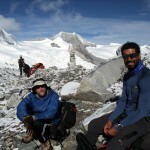 I slept in most of my summit clothing on Manaslu, and had everything not susceptible to freezing in my pack all ready. All I needed to do was take the rest out of my sleeping bag, put on harness, boots and crampons, and I was away within 20 minutes of waking. The heated boots and gloves are definitely a good idea if you’ve had problems with circulation in the past, and I have a friend who will be using them on Everest. I prefer to keep things simple if I can though, and I think this man’s routine might drive me up the wall. 45 minutes waiting for my gloves to heat up before leaving sounds like too much to tax the brain on summit morning! Unfortunately Scarpa are discontinuing the Omega! In that case I expect they will replace it with an alternative lightweight double plastic boot. I’m from Italy and I would like to climb Peak Lenin in summer with Scarpa Omega, I would like to know your opinion about these points. – I bought a pair of Omega, they have an inner shoes called “plusfit”, that’s not the Intuition liner. 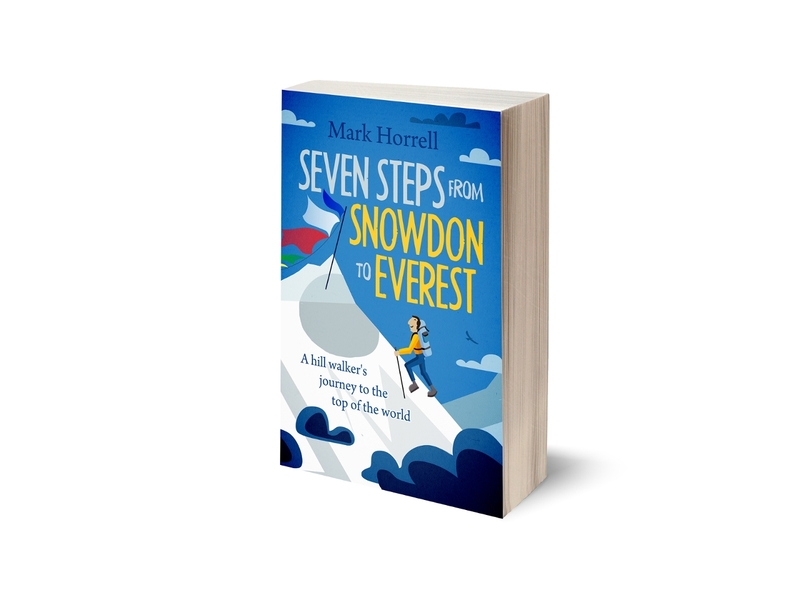 Do you think it’s good for a 7100 metres summit? 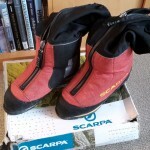 – I read that the altitude plastic boots of Scarpa should be the VEGAs, being the OMEGA for technical ice climbing. Do you think VEGAs are much warmer? – should I add an overboot, what brand do you suggest? Thanks if you find the time for replying! Just read your review on the scarpa omega. I’m off to Aconcagua and have the option of a pair of omega, would you advise these aslong as I have decent gaiters? Or should I be looking for something warmer. Any advise would be greatly appreciated.